The Farmer’s Market is held at the Roy Rogers Esplanade. Thanks to commissioners, the Market will now continue on until the end of the month every Saturday between 9 a.m. and noon. 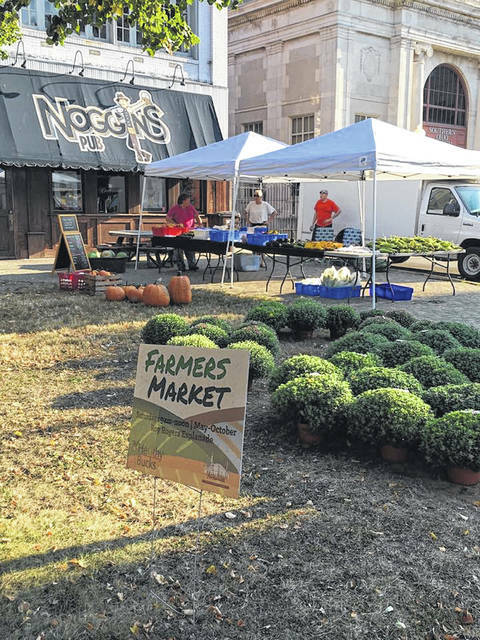 Thanks to support from the Scioto County Commissioners, Main Street Portsmouth is extending its farmers market, which is at the Roy Rogers Esplanade every Saturday between 9 a.m. and noon, through the end of the month. Previously, the market operated to the first of October, but a handful of vendors requested a longer season. 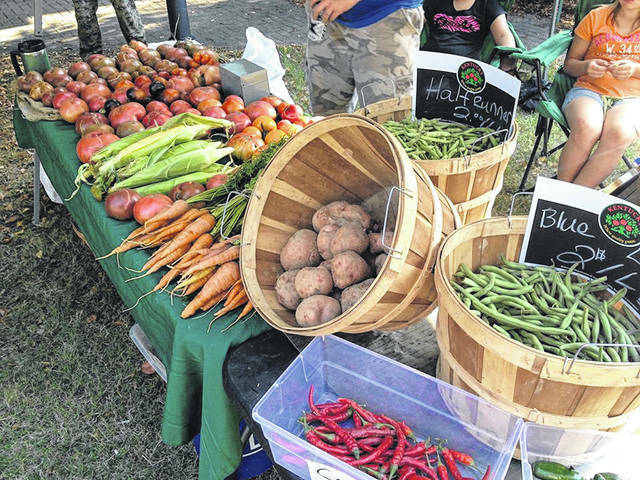 Main Street voted to extend the season moving forward, and prolong the services provided to the community by area farmers and crafters. The support came to Main Street as a financial backing of $6,642.92, which was the value of volunteer hours put into the 2017 market to make it possible. The commissioners wanted to support, not only the farmers and area businesses that participate, but the volunteers whose work made it possible. Davis explained the decision to support the market was an easy one. Davis continued that that the partnership with Main Street has been a positive one, appreciating the work they’ve accomplished together in just a few projects that have had impactful results. “The commissioners have loved teaming up with Main Street on several projects. Main Street does a great job in keeping our downtown beautiful including the courthouse grounds. We’ve assisted with the recent property acquisition on 2nd street through the county land bank, and we are always looking for new ways to help,” Davis said. Main Street used most of the budget on print marketing and then some on onsite marketing. With the financial support, they also decided to take the market longer into fall, without worry of a budget cutting into their other projects. Main Street is already preparing for next year, should the partnership continue, changing their game plan to focus mostly on promotional events to attract even more people. BARKer Zoo, an exotic petting zoo that is regionally based, has already been contacted about making three appearances with a camel, a wallaby, a monkey, lemur, and more. They made a trip this past year, only once, and had a huge impact. They are also exploring interactive and educational events and entertainment. “We are learning that we can throw money at marketing and hope to score people to see our amazing services, or we can attract them with really unique and fun offerings and get them there to enjoy those while they shop. This wouldn’t be possible if not for the support of the county,” Pratt said. While not getting too ahead of themselves, Pratt said they plan on closing the year on October 27.